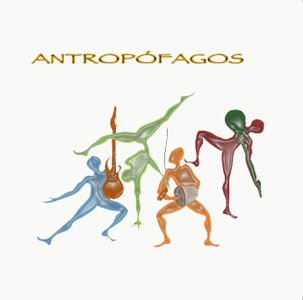 Antropófagos' first CD with their own production. Eight songs which take you for a trip around the world, varying from rock to ethno, from latin rhythms to heavy grooves. and include your name, address, telephone number and amount of CDs you wish to order. New date added. Antropófagos will play at Musikkensdag on June 6th.